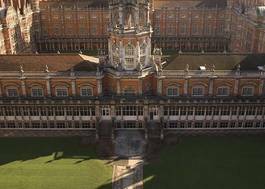 Study Modern Languages and History at Royal Holloway, University of London - Which? Where an applicant is taking the EPQ alongside A-levels, the EPQ will be taken into consideration and result in lower A-level grades being required. Socio-economic factors which may have impacted an applicant’s education will be taken into consideration and alternative offers may be made to these applicants. Grade B at A level in the appropriate language for the advanced level language pathway. For the beginners language pathway there is no language requirement but only one language can be studied at beginners level. Access course must be in a relevant subject area. Please note that the Access to Higher Education Diploma will only be acceptable if the applicant has had a considerable break from education. Grade B at A level in the appropriate language for the advanced level language pathway. For the beginners language pathway there is no language requirement. 6,5,5, with a minimum of 32 points overall including the appropriate language if taken at Higher Level. Including the appropriate language if the advanced level language pathway is required. There is no language requirement for beginners level. BTEC must be in a relevant subject area plus A Level Grade B. Grade B at A level in the appropriate language for the advanced level language pathway. For the beginners language pathway there is no language requirement. Plus A Levels Grades A, B. Grade B at A level in the appropriate language for the advanced level language pathway. For the beginners language pathway there is no language requirement. BTEC must be in a relevant subject with an A-level grade B in the appropriate language if the advanced level language pathway is required. There is no language requirement for beginners level. This Joint Honours course will enable you to start satisfying your curiosity about the past, enhancing your understanding of specific periods and problems, while giving you the opportunity to gain fluency in the language of your choice - French, German, Italian or Spanish. The remainder of your modern languages study will give you an opportunity to explore the literature, art, culture and history of the language area you are studying, from seventeenth-century French theatre to representations of childhood and youth in German culture, and from Italian fashion and design to visual arts from all the corners of the Spanish-speaking world. As a modern linguist, you will develop excellent communication and research skills, and combine lingusitic proficiency with cross-cultural perspectives. + On graduation you will have language and analytical skills in a modern language together with additional knowledge of culture, society, and history, that will give you a valuable competitive edge in an increasingly globalised world. 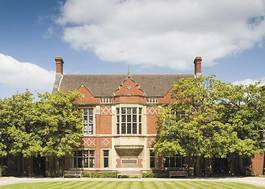 + Our research staff are engaged in research at the highest level internationally; we are in the top 10 of UK Modern Language departments for research quality and the top in London (Research Assessment Exercise 2014). + 96% say that our teaching makes the subject interesting and 94% find the course intellectually stimulating (National Student Survey 2016). 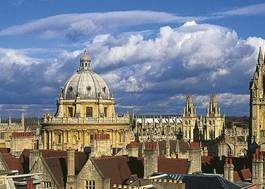 + World-leading and internationally excellent research which is ranked joint first for its impact on greater society (Research Excellence Framework 2014, 4* and 3* research). Your course will be assessed by a combination of examinations and in-course assignment in the form of essays or presentations.